We have officially stepped into 2019, drawing us closer to Summer at DIS. We cannot hold back our excitement – we’re already counting down until Session 1 begins in May! Have you considered studying abroad this summer? Janet mixed and matched summer sessions by taking a child development course in Copenhagen and a psychology course in Stockholm. A highlight of her summer abroad was joining in on the extremely charming Swedish traditions of Midsommar. Andy ate his way through Catalonia while on Study Tour with his Food and Identity course. He also took the Meaning of Style course and ventured into forests around Copenhagen to find the Six Forgotten Giants. Mckenna explored inside glaciers, went whale watching, and walked across lava fields on Study Tour in Iceland with her Climate Change and Glacier Modeling course. Do these opportunities sound exciting to you? 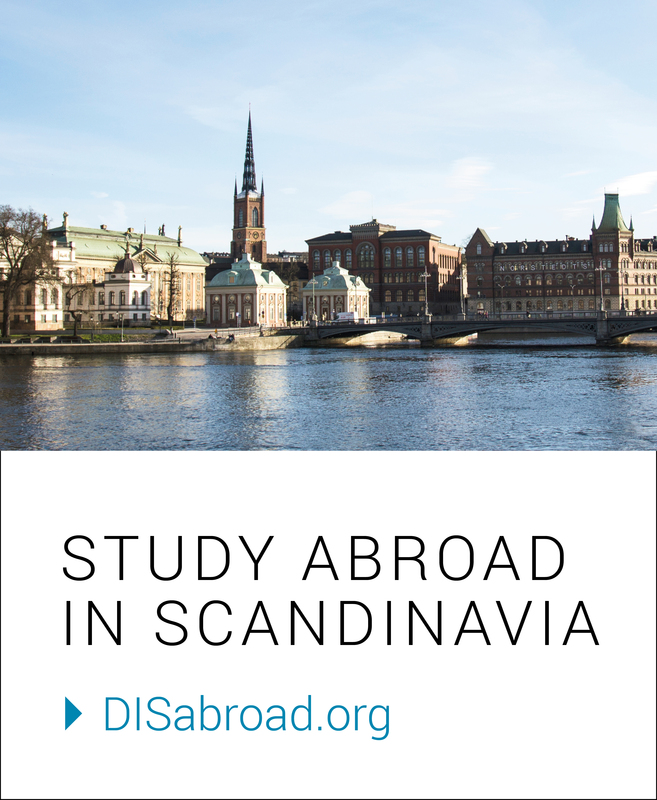 Come study abroad with DIS this summer! Previous What are our students up to this November?